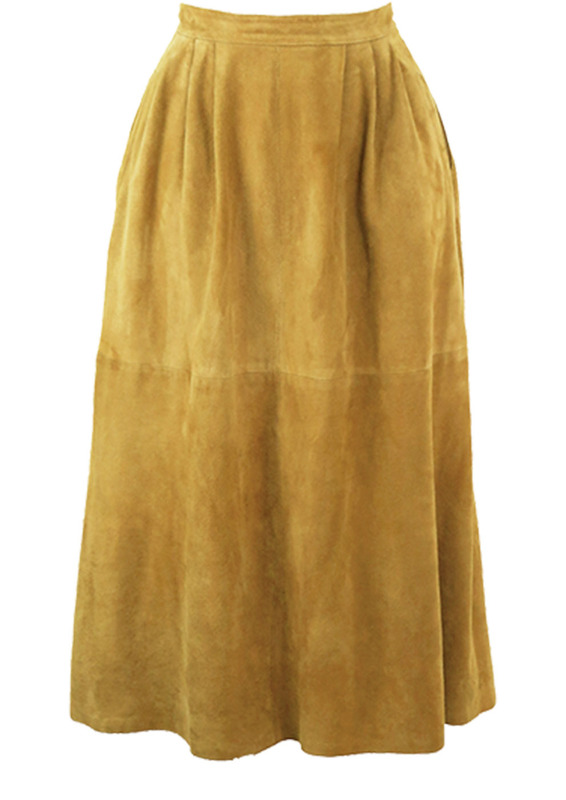 Super soft midi length suede skirt in a lovely camel colour tone. 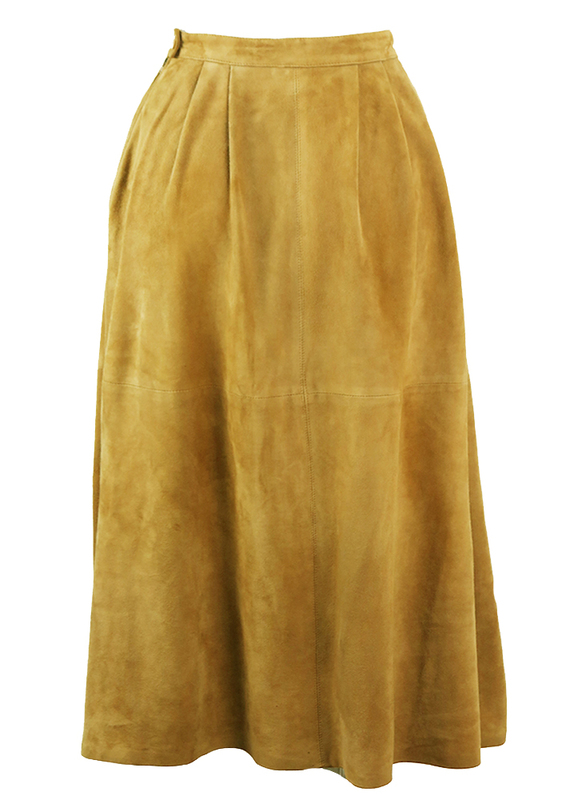 The skirt is gently pleated at the waist and features side seam pockets. The skirt is also fully lined although there is some minor wear to the fabric, not visible when worn. 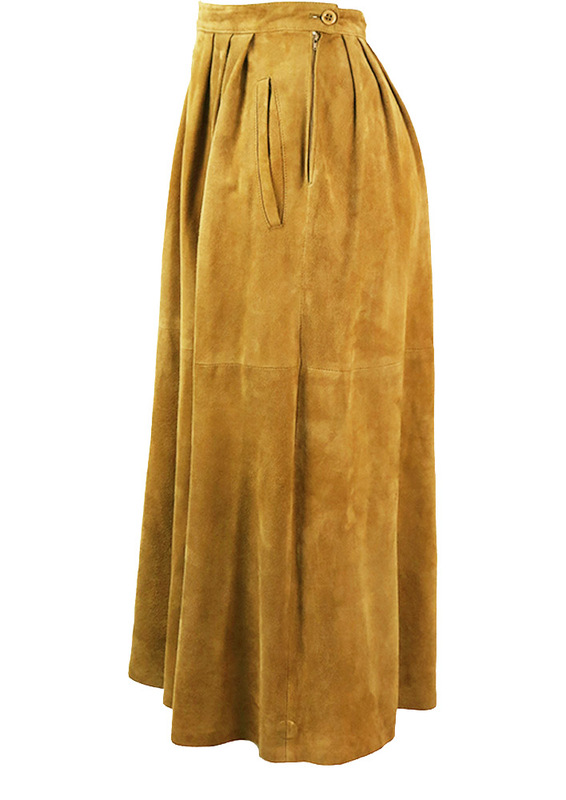 The condition of the suede overall is in excellent condition, although there are a small number of very minor marks on the skirt, mainly at the back by the lower hem that are barely noticeable when worn. We have reduced the price from £45 – £40 to allow for the minor wear described above. Hips Measurement is taken below the waist at the hip. This is only applicable to form fitted skirts. Length Measurement is taken from the top of the waistband to the lowest point of the hemline on the skirt.